I’m not one to be overly emotional about business, but it is with a little ripple of pride that I’m writing this post. Why? Because this year marks the 10th anniversary of Joanna Craig Website Design. When I launched this business in 2007, I had no idea I’d still be creating websites 10 years later. Yet here I am! I am a self-taught web designer, so I’ve had to learn a huge amount over the last 10 years, both technically and commercially. The thing with starting your own business is that you literally don’t know what you don’t know. It’s easy to head off, all gung-ho, into the entrepreneurial world but sticking at it through good times and tough ones takes strength (I now know!). 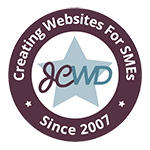 The technicalities and trends of website design have changed almost unrecognizably over the last 10 years, but the support of my clients has been unwaivering. I think there is something about small businesses supporting other small businesses that helps us stick together. Each understands the challenges the other might be facing. As busy people, we often forget to stop and celebrate the good stuff that happens everyday. Think of all the motivational memes you see on social media about self-belief and the importance of acknowledging the your successes. Yet, it’s rare that we actually sit back and give ourselves that much deserved pat on the back. There is no doubt that running a small business requires grit and determination. Statistically only 40% of small businesses survive beyond their 5th year of trading. 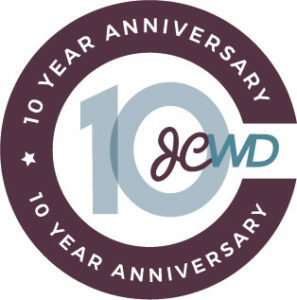 So, whilst this 10-year anniversary is a personal milestone for me, I think it’s also a high-five for every single client I’ve worked with. We are navigating the highs and lows of small business life together. I don’t for one minute claim to be an expert on all things business, but I have learnt some useful pearls of wisdom along the way. Here are a few little gems that I’d like to share…. Good business is about good relationships. Worrying about it won’t get the job done. It takes a community to raise a small business – get a network you can count on. Fresh air helps with creative thinking. Coffee really does fuel small business. Taking a leap of faith and trying something different can lead to great things. To those of you that I’ve already worked with – thank you. And to those I have yet to work with – let’s stick with it, as great things might be just around the next corner!